Check if you are a parent of a current BU student. You may receive updates from Don McLean, Boston University Class of 1967, the creator of this petition. Adjunct faculty have made invaluable contributions to the BU experience of countless alumni, instructing, mentoring and supporting us every step of the way. Now it's our turn to support them. As Boston University alumni, we would like to extend to you our reasons for supporting the adjunct faculty at Boston University in their quest for fairness, respect and representation at our alma mater as they endeavor to organize and democratically form a union. 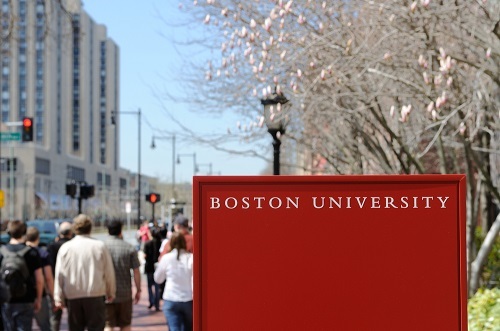 We have valued the commitment to excellence in teaching and advising at Boston University. This commitment is evident not only among our full-time faculty but also in the work of our adjunct faculty as well, many of whom have been lauded in course evaluations as some of the best professors encountered while studying at Boston University. Our adjuncts have gone beyond the call of teaching and supported our growth as students and working adults after graduation as well. They have written countless valuable letters of recommendation, advised us about career and post-graduate work, worked with us beyond the usual office hours, and given personal attention to our lives in ways that exemplify the true meanings of mentorship and care. Yet, despite their commitment and efforts, adjunct faculty at Boston University are in many ways an undervalued and unrecognized asset in our community. As we have increasingly seen in the recent wave of attention that has been given to the plight of adjunct faculty across the United States, a disheartening reality exists for part-time faculty in this country, and our adjuncts at Boston University are no exception. This reality includes low levels of compensation for their work; appointment on a semester-by-semester basis with no job security; no access to health insurance or other benefits; limited or no access to work spaces (or overcrowded offices); and no representation or encouraged presence in decisions that affect students in the departments and schools in which they teach. These conditions cannot continue to exist for such vital and dedicated members of our community. Adjunct faculty at Boston University have taken the first steps toward the reversal of these conditions in their campaign to form a union with SEIU/Adjunct Action. Let us all support them in their campaign without fear of reprisal. Additionally, let us be reminded as well of Martin Luther King Jr., one of our most celebrated alumni, whose support of labor unions underscored the critical roles equal pay and equal representation play in a healthy and just society. Dr. King’s legacy serves as a missive and reminder to us all, at every level of the University, to support our adjunct faculty as they advocate for themselves through the formation of a union. All members of our community deserve fair and equitable wages, benefits, and recognition for the work they do. **This is a public petition that will be published in the Daily Free Press and distributed throughout the BU campus. For more information about Boston University adjunct faculty's campaign to form a union, visit http://www.buadjuncts.org.